Image Size: 25 X 14 in. This image was created by Bob Singer, who was the original layout artist for the Scooby-Doo series, as well as The Flintstones, The Jetsons and Jonny Quest. 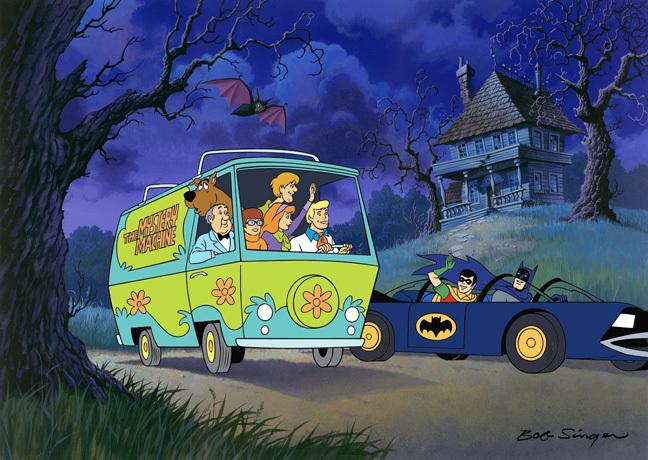 The Batmobile and Mystery Van are both hand-painted on the cel along with the characters giving the artwork great depth against the haunted house background.